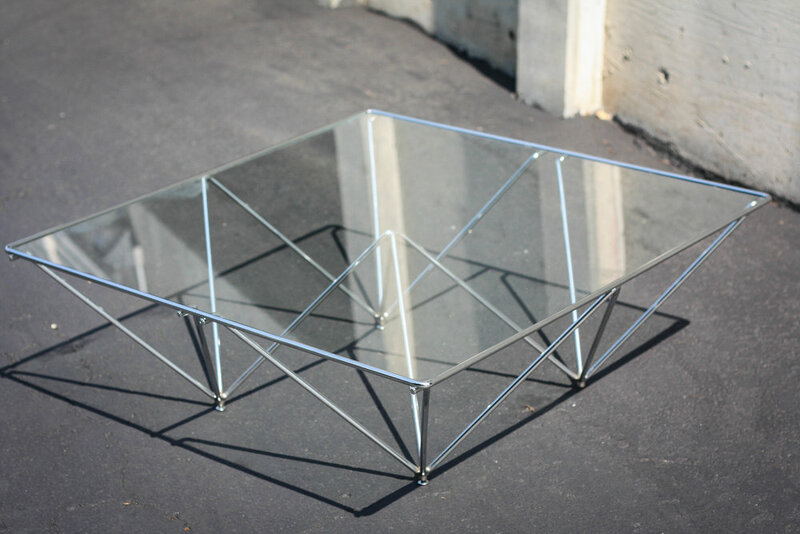 Spectacular modernist coffee table in style of Paolo Piva for B&B Italia, Italy 1982. 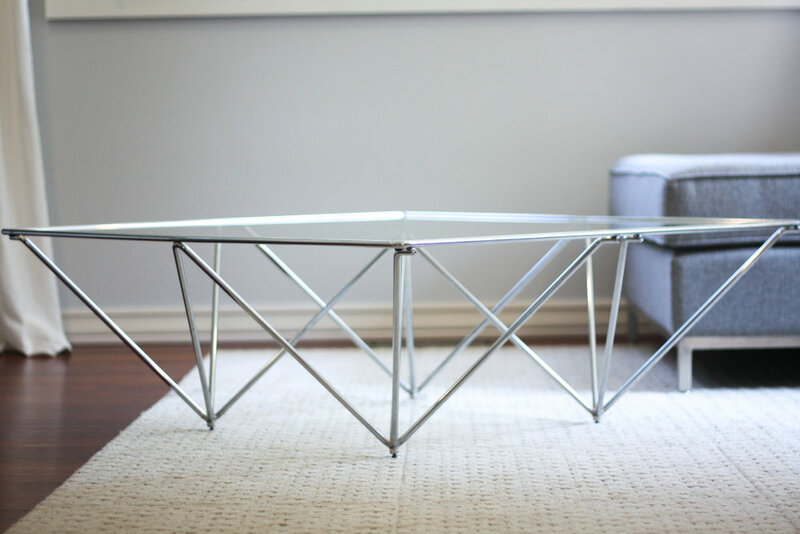 Solid metal frame in chrome finish, connected like a spider web. Supports a glass top made of high quality hardened glass with every so slightly rounder corners and edges. 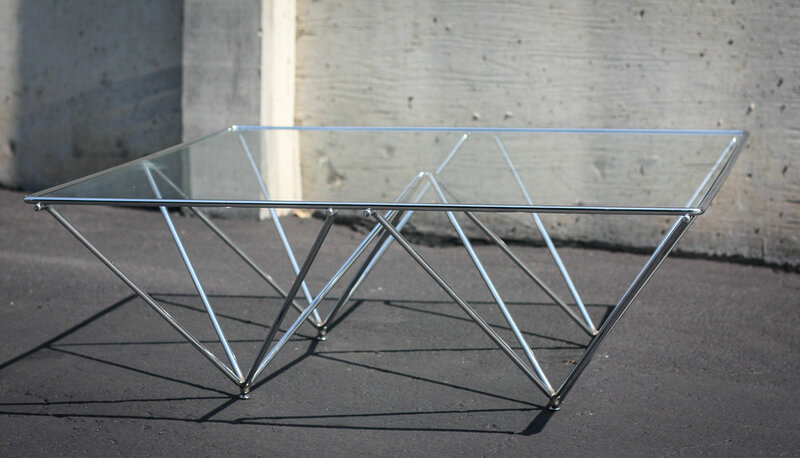 Sophisticated table modern shaped and would match any modern home or interior. In good condition with minimal surface wear. No chips or cracks.